The addon allows your users to choose their user titles, just as it is done by the usergroups having appropriate permission in XenForo, but these changes can be moderated and they apply only if the change is approved by a moderator. The product adds a new usergroup permission "Require custom user title moderation". Please note, that you should also enable "Edit custom title" permission to allow the users to change their user title. 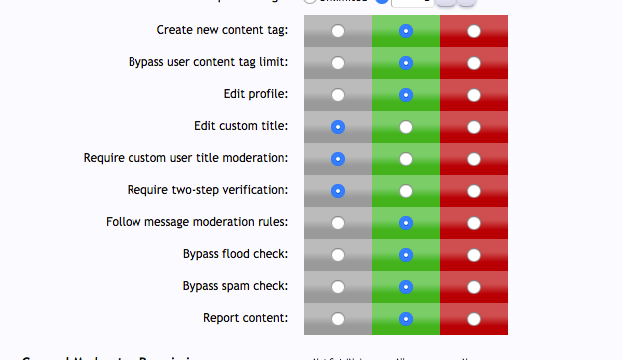 Another permission is added under "General Moderator Permissions" section to allow the moderators to moderate custom user title changes. To install the product you need to upload the content of "upload" directory to your forum's root directory and import the XML file provided in the product package.